The Twin Cities real estate market is off to a promising start in 2013, with area home sales up 11% over last year. While January is typically one of the sleepiest months of the year, unseasonably strong home buyer activity suggests that the spring market will be robust. During January, there were 2,797 home sales in the 13-county Twin Cities metro area. Buyers were out and about during the month hoping to strike a good deal on a home and take advantage of near record-low mortgage rates. Pending sales were up even stronger than closings, rising 13% during January. Sales of steeply discounted foreclosure homes fell slightly during January while sales of upper-bracket houses increase. As a result, the median price of all closings during the month rose 14% to $160,000. While there were plenty of house hunters, the same can’t be said of home sellers. During January there were 4,798 new listings, a 6% decline from last year. Total listings in January stood at 12,000, a 32% decline from last year. At the current sales pace those listings would last less than three months. With inventory falling, some expect that the Twin Cities has become a seller’s market, but that’s not the case. Sellers still offered hefty discounts in January, getting only 93 percent of their original list price. Buyers are still having their say. Additionally, home sale prices are still being suppressed by high levels of foreclosures and short sales. During January, distressed sales represented 43% of all deals. Though that is a decline from last year, it is still a high rate. Demand for traditional listings has been strong and buyers in some areas are finding themselves bidding against other buyers for the same house. That’s especially true for houses in prime locations, like Edina, Plymouth and Woodbury. Many would-be sellers are holding back because they’re waiting for higher prices. Others owe more than their house is worth, so can’t sell unless they’re willing to bring cash to the closing table. 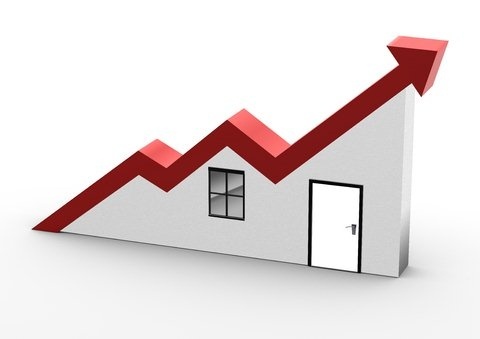 January’s gains extend a series of monthly year-over-year increases in sales and prices that started in 2012. The trend is bolstering confidence that a slow, steady recovery will occur in the Twin Cities and beyond. Need help buying or selling your home? Contact the Realtors at Homes of Minnesota today.